Quieting the mind. Getting into a flow. Zoning into peacefulness. 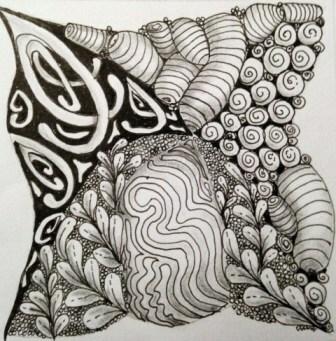 I’m not speaking of yoga but an artful form of meditation called Zentangle or Zendoodle or mindful doodling. 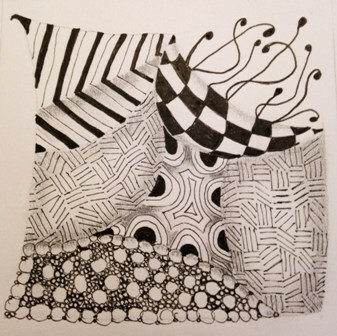 I picked up the book, “One Zentangle A Day” by Beckah Krahula, and started learning this type of drawing. 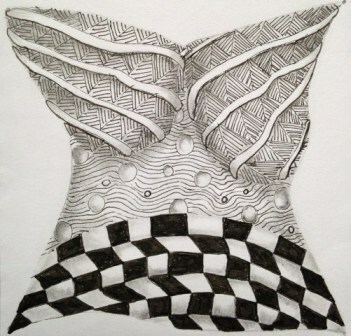 And besides giving me all those benefits above, it’s fun and teaches great patience as each design is quite intricate! 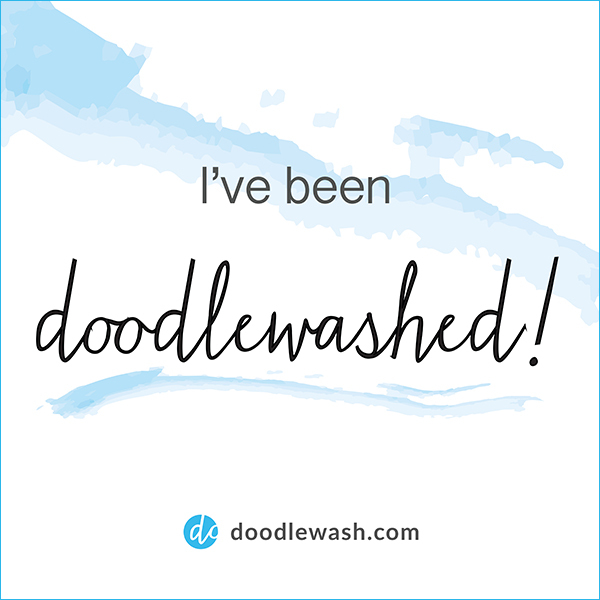 It’s a fantastic expressive art – just Google Image the term and you’ll see amazing, intricate works. The paper used is 80 lb mixed media paper, using black Pigma Micron pens, and graphite shading pencils. For instruction, check out the loads of YouTube videos or books on the subject. 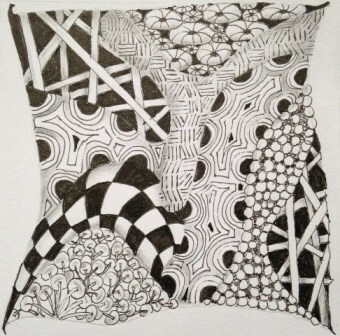 Just starting to doodle off the top of my head was a little difficult for me, so learning the patterns and then experimenting I found to be very helpful.